Catering to young children’s sense of fun, curiosity and adventure, Apple Tree House is a live action and mixed media series from indie production company Five Apples. 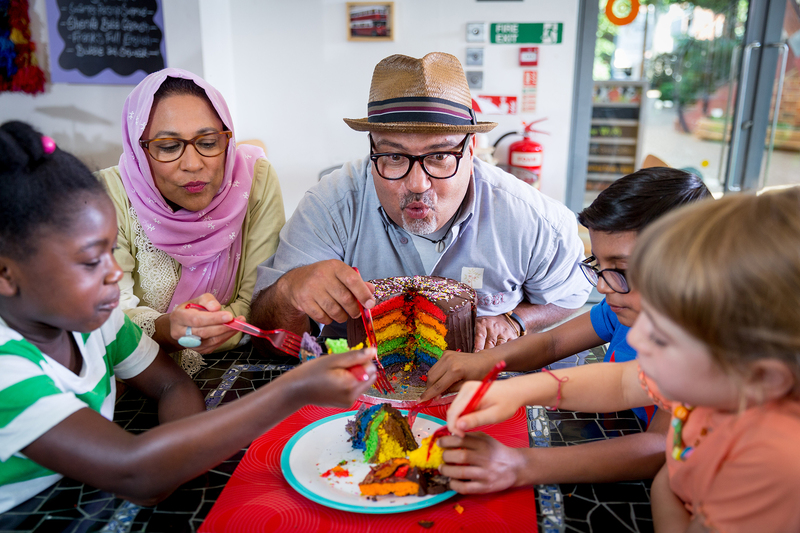 Aimed at the older preschool audience, and their families, the first episode of Apple Tree House introduced a new contemporary world to CBeebies on 22nd May 2017 at 5.35pm. Initially the Five Apples team skilfully crafted thirty 15-minute episodes that take three young characters (Mali, Sam and Bella) on enchanting adventures rooted in the urban, inclusive and ultimately safe environment of their inner-city lives. Together they share valuable life lessons in responsibility, kindness and “being a good friend”. 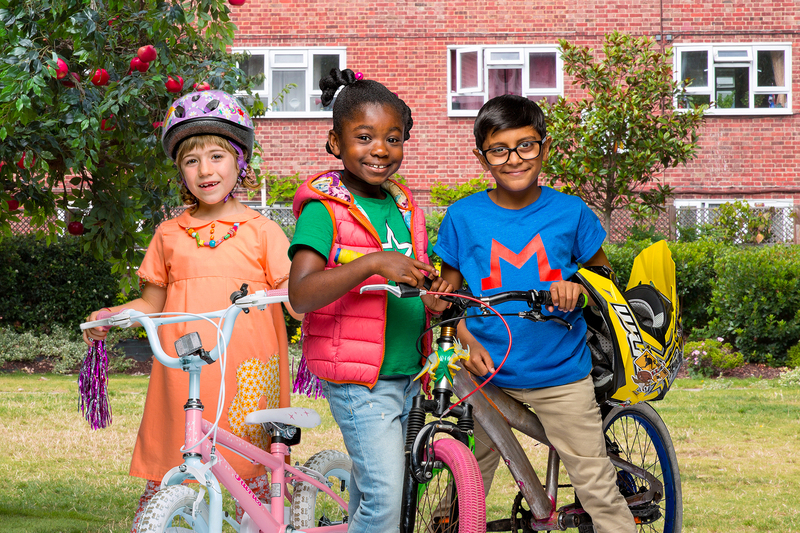 Creating wonderful tales and stories about ordinary characters with ordinary families who live in an extra-ordinary place, the team were delighted to receive support from residents and local organisations to film on location in East London. says co-creator and performer Will Vanderpuye. In the Bromley-By-Bow area the Five Apples team found the perfect backdrop that allowed the crew to recreate something that existed in the creator’s early lives. 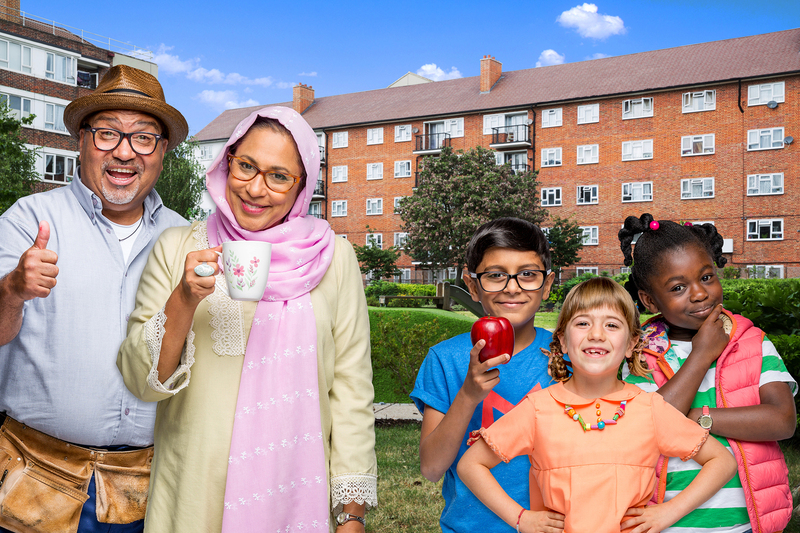 The creators of Apple Tree House wanted to demonstrate the reality and wisdom at the heart of their storytelling from characters such as Grandma Zainab and Sam’s father Kobi to illustrate the benefits of sincerity, honesty and aspiration to a pre-school audience. Since launching the show, Five Apples have produced fifty-five more episodes which sees the original cast meeting more friends and learning even more about the world around them. The show has been nominated for two BAFTA awards, an RTS award and won Best Pre-school show at the 2018 Broadcast Awards. Originally pitched as a completely animated show, it was a challenge to bring Akin, Maria and Will’s wonderful vision into the live action space but as a fabulous team committed to doing something very original and fresh we have brought some great storytelling to the young audience and their families. Animation remains a vital part of the series as mixed media sequences, beautifully bring to life, which illustrate and emphasise the young person’s point of view and thought processes. The Five Apples team were also delighted to work with Rastamouse composer, Andrew Kingslow, on an amazing soundtrack bursting with original songs. Apple Tree House was created by Akindele Akinsiku, Maria Timotheou and William Vanderpuye. It is inspired by reflections on their own childhoods. The series has been developed for television by the programs creators with award-winning Rastamouse producers Eugenio Perez and Gregory Boardman.